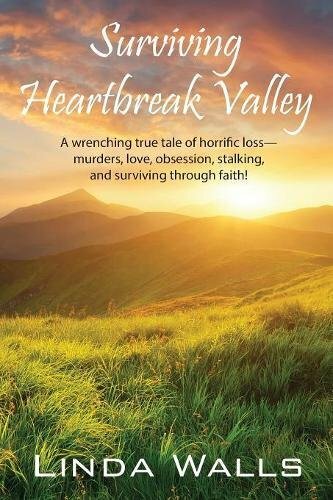 “Surviving Heartbreak Valley” by Linda Walls is an important, heartbreaking story of domestic violence and stalking that every woman and family should read. I will say that for those who are or have been in an abusive relationship Walls’s memoir might bring some horrific memories to the forefront. Walls relates how hard it was to write about this period in her life when her children were brutally murdered by Bernon Howery. One way abusers make sure your life is hell is to take away what matters to you most. Walls did an excellent job of narrating her emotional experiences, thoughts on “if she had only done this,” and portraying some things were not as they seem. For me, as a reviewer and mother, this was a hard story to read. My daughter was in an abusive relationship for seven years, and it was the most traumatic, heartbreaking time of our lives. As a psychologist, I’ve heard many people say, “I would never let that happen. Why didn’t she leave?” It is so easy to judge, make assumptions and second guess when you have not walked in an abused person’s shoes. Bernon Howery was a very smooth con-man; he knew everything to say and do to manipulate situations to suit him and abuse was his power. One look at him and you would think he would never hurt anyone, much less the woman he professes to love. Linda is doing the best she can to better her life and take care of her children and pay her bills. While it’s true no one is perfect, no one deserves to have a gun held to their head or be verbally and emotionally abused. On the day Linda graduated from college her worst nightmare came true. Her children were dead, and life did not seem to be worth living anymore. As time went on, Linda became an advocate for abused women, and conducts seminars and helps women become empowered through knowledge of stalking laws, having an escape plan in place, and support services. In the latter part of her book, she provides a wealth of information for any woman or family to know what to do. I highly recommend “Surviving Heartbreak Valley” by Linda Walls. Thank-you Linda for bravely sharing your story. You are unbelievably strong.